Look at the screenshot. So they have a username and password — the password field has a maxlength of 12. Yet, my password is longer than 12. It’s not my fault, they allowed me to use a password that is longer than 12 characters. So I firebugged the maxlength to something bigger and entered my password. Bingo, it worked! But if I was just a normal user, what am I supposed to do? 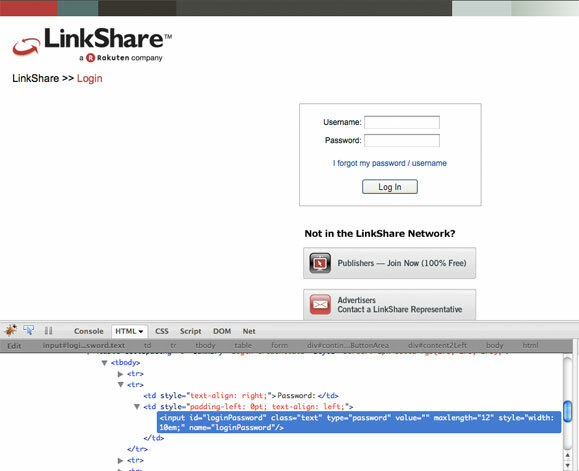 Linkshare form fail. Thank God I didn’t give them my SSN.